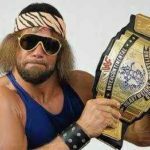 Do you want to know about the youngest WWE champions of all time? 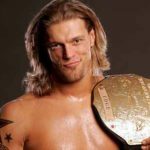 Today we are compiling a list of youngest champions WWE have ever produced. Just have a glance at this article to know more about this post. In tenth position on our list of youngest WWE champions of all time we have John Michael Watson aka Mikey Whipwreck. He is an American retired professional wrestler, who is born on June 4,1973. He started his career with ECW (Extreme Championship Wrestling. He won his first title on May 15th,1994 at the age of 21 years, 10 months and 21 days. His special move is Whipper-Snapper, which is basically a three-quarter facelock jawbreaker. Later this move is used by Stone Cold Steve Austin as Stone Cold Stunner. Jeff Hardy started his wrestling career in October 15, 1993. However, He won his first title, World Tag Team Championship on July 5 1999 at the age of 21 years, 10 months and 4 days. Currently he is signed with the WWE Smackdown brand, where he got his first United States Championship. Paige started her career in the year 2005 and in the same year she won her first championship title in WWE debut match defeating AJ Lee for Divas Championship. She was just 21 years 7 months and 21 days old at that time. Though Rey Mysterio won many championships during his career, but do you know his first championship was Cruiser Weight Champion. Rey Mysterio became the youngest competitor to earn the Cruiser Weight Title at the age of 21 years 6 months and 27 days. Sixth position on our list of top ten youngest WWE Champion is acquired by Sean Michael Waltman Aka X-Pac Aka 1-2-3 Kid. He is an American professional wrestler who started his career in the year 1993. During his wrestling career, he worked with WWF, WCW, TNA and won the World Tag Team Championship when he was just 21 years, 5 months and 28 days old. José Delgado Saldaña Aka Essa Rios was born on December 10, 1977 in Guadalajara, Jalisco, Mexico. 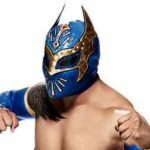 He is a professional Mexican wrestler who is currently working for Consejo Mundial de Lucha Libre (CMLL). At the age of 21 years and 2 months, Rios became the youngest competitor to hold the Light Heavyweight Championship by defeating Gillberg. 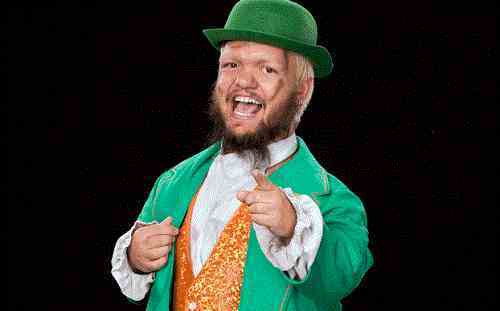 Next on our list is Dylan Mark Postl Aka Hornswoggle, who was born on May 29, 1986 in Green Bay, Wisconsin, United States. He is an American actor and professional wrestler who won the Cruiser Weight Championship, when he was just 21 years, 1 months and 23 days old. He won this championship in the year 2007 at the Great American Bash. Do you know, he is the last ever Cruiser Weight Champion. 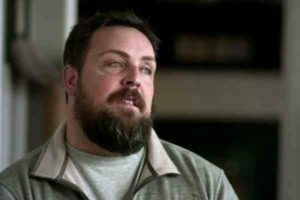 David Richard Fliehr Aka David Flair is born on March 6, 1979 in Minneapolis, Minnesota, United States. He is an American professional wrestler who worked for both WWE and WCW. At the age of 20 years, 3 months and 29 days old Ric Flair’s son David Flair won the United States Championship title. This makes him the youngest US Champion ever. Next is Kenneth George Doane Aka Kenny Dykstra an American professional wrestler who was born on born March 16, 1986 in Southbridge, Massachusetts, United States. Kenny won the World Tag Team Championship at the age of 20 years and 18 days. Kenny and his partner Mikey defeated the team of Big Show and Kane to conquer the World Tag Team Championship. First position on our list of ten youngest WWE champions is acquired by René Emile Goguen aka Rene Dupree. He is a professional Canadian Wrestler, who was born on December 15, 1983 in New Brunswick, Canada. He is the son of Canadian Maritimes wrestling promoter Emile Duprée and regarded as the youngest WWE and World Tag Team Champion of all time. At the age of 20 years, 8 months and 25 days he became youngest WWE Tag Team Champion and at the age of 19 years and 6 months he became the World Tag Team Champion.